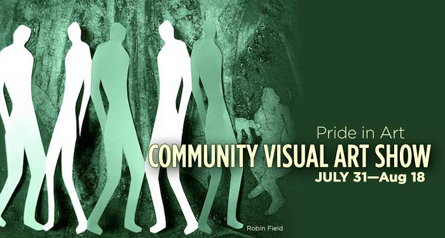 Queer Arts Festival 2012 is happy to again present the Pride in Art Community Show! In the Great Hall of the Roundhouse, outside the main Exhibition Hall, the PiA Community Show will exhibit visual art works by queer artists in any medium. Works in the Community Show explore ideas outside the festival theme. Bart Maloan, Brandy Trudeau, James Lauder, James Sullivan, Jeffery Austin Gibson, Joel Levine, Kate Braun, Kelly Haydon, Kenneth Brock, Marcel Willaert, Persimmon Blackbridge, Robin Field, SD Holman, CampOUT Youth Artists and Joanne Ursino AD.